Taking the kids to the dentist can be a tough task. Ease the process by trying out one of these 10 kid-friendly dentists in Wisconsin. You’ll be impressed with how accommodating these oral health specialists are—they really go above and beyond. It pays to go to someone who genuinely understands their audience. Here are our favorites in the state. At Little Sprouts, you can trust your kids with their experienced dental professionals. Your child’s comfort is the number one priority in the office. Little Sprouts has invested in an inviting children’s play area, TVs, and free beverages during the waiting process. This pediatric dentist office served infants, children, and teens. Their child-friendly environment focuses on preventative care to continue growing a healthy smile. 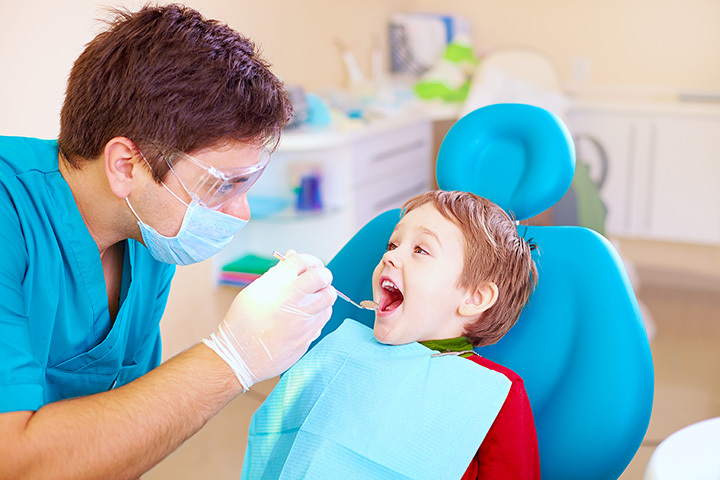 Their friendly dentists and dental hygienists allow for a comfortable environment that your kids will love. Dr. Robert D. Imm located in Tomahawk is your kid friendly dentist in Northern Wisconsin. They treat young children all the way up to adulthood. They recommend bringing your young children in for preventative checkups. Call their office today to schedule an appointment. Dr. Mark Steinmetz and the staff at the Children’s Dental Health Center of Appleton are dedicated to your kids. Their interactive office is very stimulating for kids while they wait. Know that your little tikes are in good hands with Dr. Steinmetz’s Board Certification as a pediatric dentist. The name itself is comforting enough. Madison No Fear Dentistry focuses on the patient. While they serve all ages, they do specially serve kids (as early as babies.) Madison No Fear focuses on a lifetime of healthy teeth. Plus, kids under three years of age are free for their first visit! Dr. George Bullard at Bullard Children’s Dentistry serves infants up to teens. The office in Sheboygan focuses on preventative care for your child. Their purple outdoor entrance makes for an inviting appointment. Plus, their office’s fun colors and furniture keeps your children giggling. The office at La Petite Density is ready to serve your children. Located in Hudson offers a caring staff and excellent experience. Your kids will love La Petite’s floor to ceiling décor. You will truly feel like you are underwater. From the front desk to the patient room—join in on the fun! Smiles in Motion is a pediatric dentist with three area locations. Check out their Rice Lake, Chippewa Falls, or Eau Claire location for the same quality service. From fun video games to interactive toys—your kids will love it. The Eau Claire location has a full sized slid for added giggles! When you visit the Children’s Dental Center of Madison their mission is to create a positive and comfortable dental experience. They have three area locations—two in Madison and one in Fitchburg. All their offices are inviting and offer a fun theme. Children’s Dental Center is able to take patients as young at one years old. Watching a movie and getting her teeth cleaned with "cookie dough" toothpaste! With a fun, brightly-colored interior and kid-friendly decorations, Wagner Pediatric Dentistry’s office will immediately put your child at ease! Enjoy TVs in every room—a perfect distraction for those nervous little ones—toys, and a complete devotion to your child’s wellbeing!